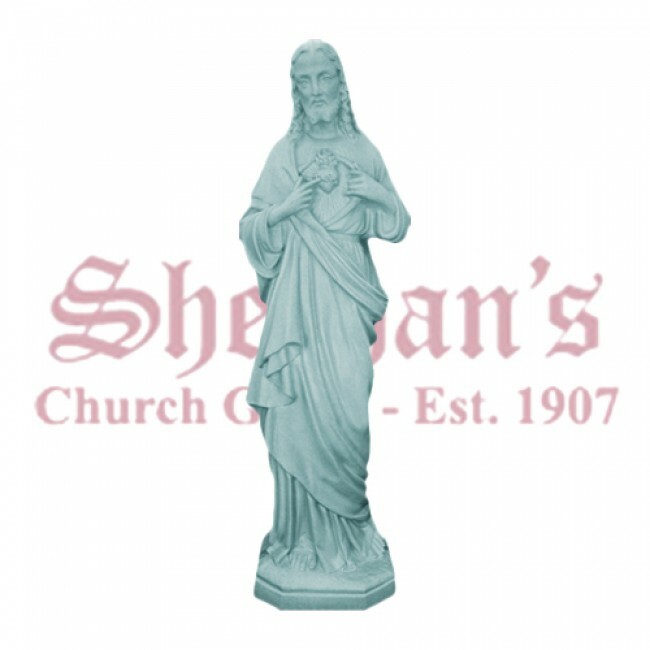 Sacred Heart of Jesus 32" outdoor statue. Made from sculpted durable vinyl. 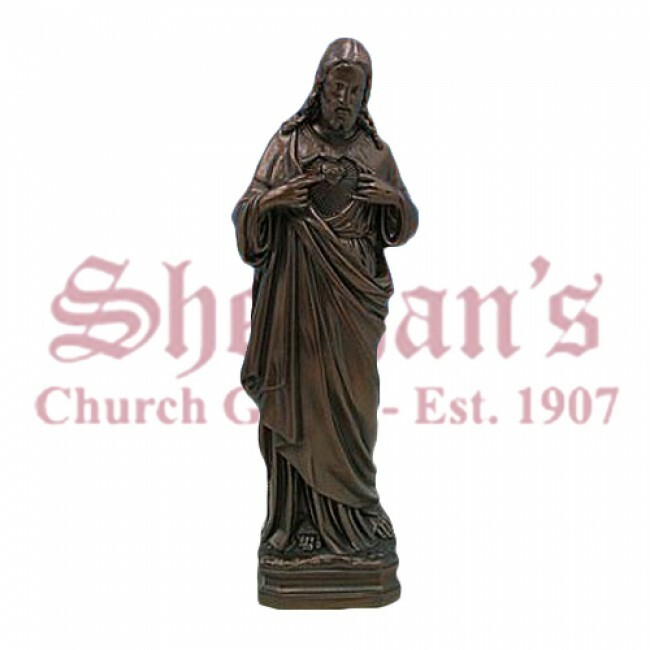 Beautiful Sacred Heart of Jesus outside statues are ideal for accenting any outdoor space. 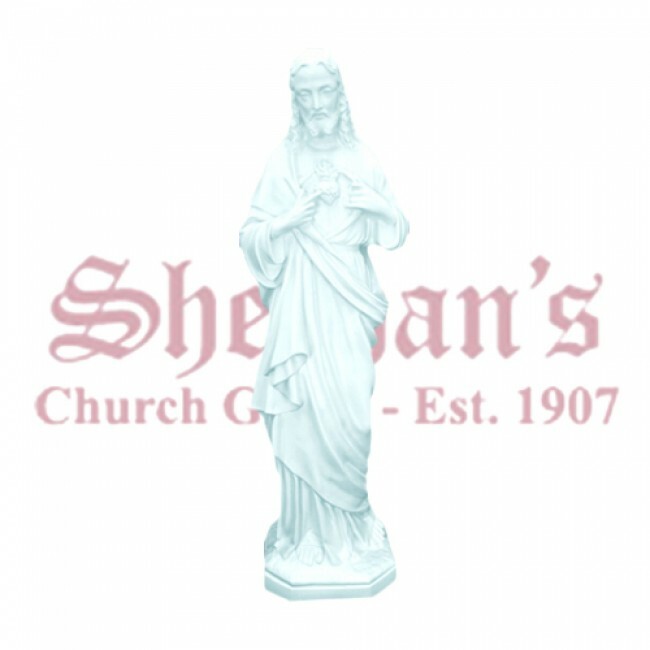 The statue features a standing infant of Prague with His heart exposed to symbolize His love for all of us. 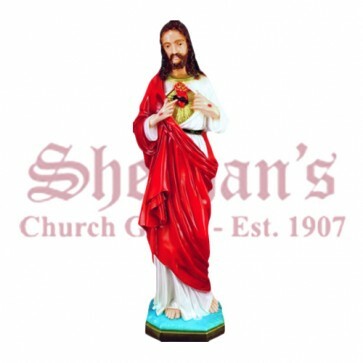 It is said that placing a picture or statue of the Sacred Heart of Jesus in a visible place will bring blessings. 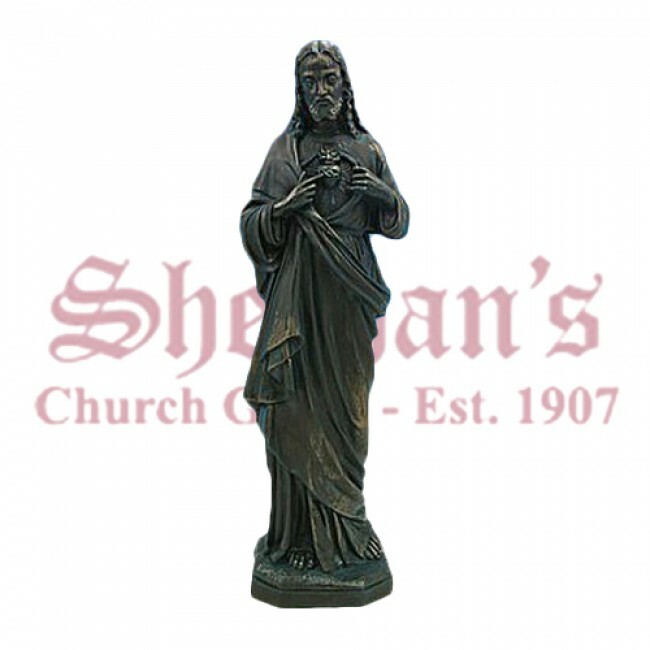 Unlike cement statues of Jesus, this statue arrives to you hollow so it is easy to move and affordable to ship. Once it is in place, simply fill it with gravel or cement for stability.